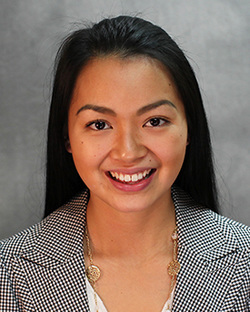 If you would like to make a first time appointment with Joline, please contact the call center at 800-998-6329 and specify that you would like to schedule an intake with Joline Martinez-Chen. Christy Price's extension is 327. Joline has a heart of compassion to walk alongside people in their brokenness. She desires healing and restoration of people’s identity in Christ as well as interpersonal relationships. She believes that experiencing God’s grace is transformational for how people view themselves, others, and how people relate to their past, present, and future. She therefore strives to partner with the Holy Spirit in supporting her clients’ spiritual growth and moral maturity by engaging with her clients through an interdisciplinary and holistic perspective. Immigrant families’ adjustment issues, and parent/child conflicts. Families and friends of those with addictions. **Bilingual counseling is also available with Joline, she is fluent in Mandarin Chinese. Joline has worked in a variety of human service settings. From serving the homeless populations with Mercy House and mentoring mentally-ill adolescents of low-income families with Mental Health Association of Orange County, to counseling students and their families in a large private school with Outreach Concern, Joline has experiences working with a diverse background of clients. In addition, Joline comes from a first-generation Taiwanese immigrant family, which provided her with first-hand experience of acculturation issues, adjustment issues, generational gap parent/child issues, and individuation challenges. Joline became a wife and mother at 19 years of age; through years of trials and God’s equipping, Joline believed that she had been called to utilize her life experiences and academic/clinical training to glorify the Kingdom. She has been professionally trained in Gottman Method—a widely-used approach to couples therapy, and she plans to pursue further training in Emotionally Focused Couples Therapy as well as the Developmental Model of Couples Therapy developed by Ellyn Bader and Peter Pearson. Joline has served in her mother church as the youth group leader for over a year. She and her husband have also assisted in young adult Bible study. She loves seeing people experience the Lord and grow. Currently, Joline and her husband are in transition of finding a new home church. They are excited to be involved in wherever God leads them. Joline and her husband have been married for almost 7 years—since she was 19 and he was 21. As a young married couple, they experienced unique challenges and managed to work through many trials. She has gained invaluable lessons and insights regarding marriage. She is grateful to have a dedicated life partner who supports her growth. Together they have a 6-year-old son whom they strive to be the best parents as they can be. They enjoy spending leisure time together in the outdoors traveling and hiking; they also dedicate quality time with their large extended families.